Much easier to carry around than a standard utility knife, this knife folds to fit easily in your hand or pocket. 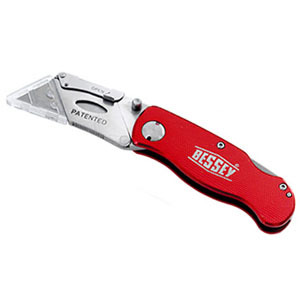 Easy to carry around utility knife, this knife folds to fit easily in your hand or pocket. 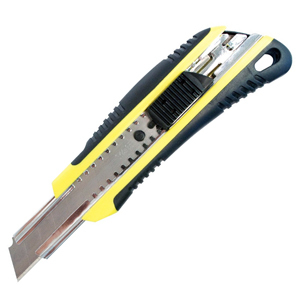 Fastcap's TriBlade Utility Knife is a must for anyone who ever needs to use a knife. Its unique design allows for additional storage of 2 extra blades. Now you will never be without a sharp knife. 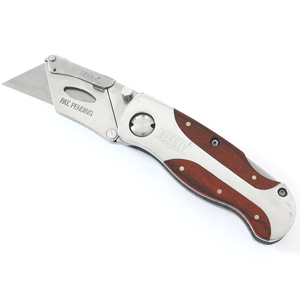 The rubberized grip makes it comfortable to hold and the retractable self-locking blade makes the TriBlade safe to use.